We are very excited to announce the appointment of our new Board Chair, Mark Huffington. 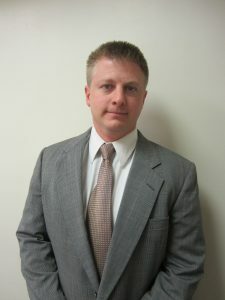 Mark has been with Hendrick Medical Center for 11 years and currently serves as the Director of Financial Analysis. He oversees the continuous, effective operation and the continuous improvement of the activities of the Revenue/Operations Support Services and assures integration of departmental services with the hospital’s overall functioning to meet established organizational goals. Mark received his BBA and MBA from Hardin-Simmons University. Mark and his wife, Dayna, moved to Abilene 15 years ago and have been members of the credit union since 2007. They have 4 children. He has been a member of the Board of Directors for 4 years and served as the Supervisory Committee Chair since 2015. He has admired the values and standards that First Abilene portrays since he first became a member. As he takes on the role of Board Chair, he is excited to be an active part of serving the members and community. His number one goal is to assure members that they are getting the best quality products and services. The collaboration of the credit union’s executive team and Board, as well as assessing today’s environment and projecting the future of the industry will accomplish this goal, and others. Troy Kyle, President/CEO, says “we are confident that our Board of Directors will continue to carry out its mission of leading our institution for the benefit of our members under the direction of new Chair, Mark Huffington.” Mark’s been very busy since beginning his term as Board Chair. He looks forward to getting to know each of you better over the months ahead.